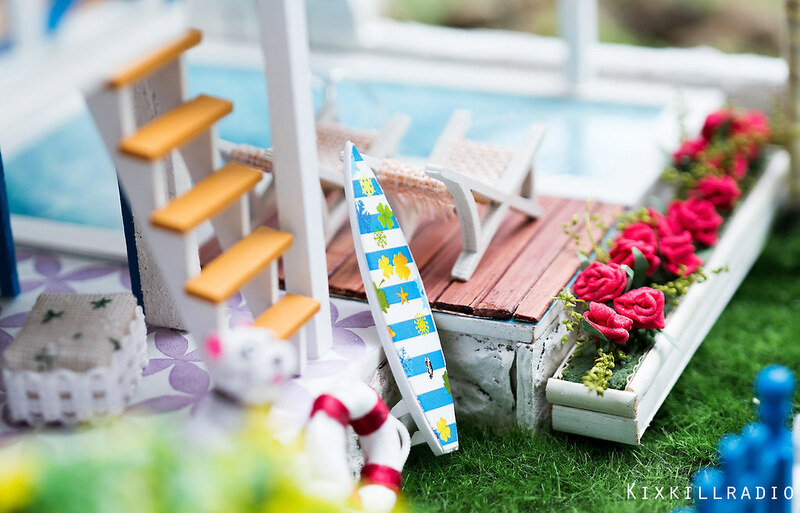 Today I’m showing you more photos of the miniature beach house, it’s a dollhouse kit I received from GearBest weeks ago. GearBest is the largest e-commerce website in China that caters a variety of best gears and gadgets. At first, I didn’t know that they also offer dollhouse things on their website and I’m surprised when they contacted me for a review. 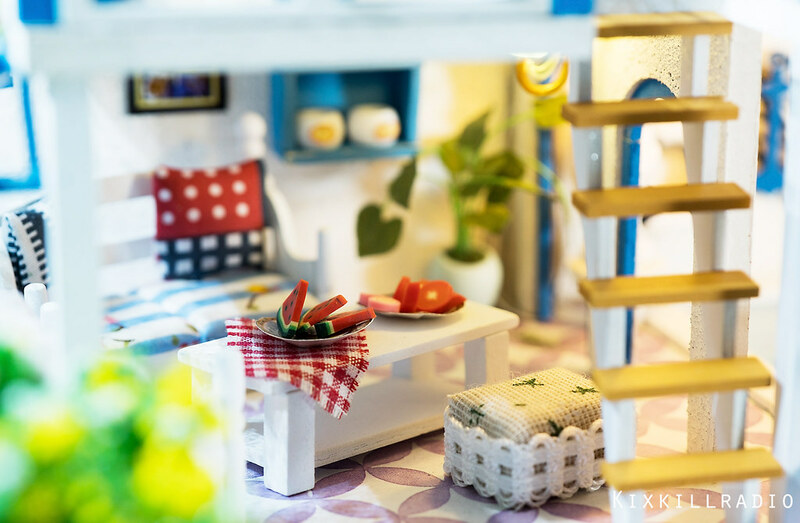 They let me choose the dollhouse that I want from their in-stock products and I chose this dollhouse kit supposedly for my Yotsuba figure. They have many selections to choose from. They also sell dollhouse accessories to add to your miniature collection. I received the item only after a few days after the agreement. That was really fast! I was so excited to build it but I had to push it back a few days because of another project that I had to work on. Every time I receive a dollhouse kit, I always think of ways how to make it look different from the original. Do some remodeling or repainting job to fit my taste. Make sure to watch the video to see how I made it from scratch and you will also learn creative ideas in building dollhouses. When I started to build the house frame, I got a bit disappointed. The house is too small for my Yotsuba figure. Despite being small, the dollhouse still looks promising and I wanted it to look more beautiful even if I don’t have a toy or figure to put in there. I didn’t use the wallpaper provided for the house so I made a white textured wall. Instead of using the paper provided for the tile in the pool, I changed it to a wooden deck. I also added details in the surfboard too. I didn’t use the cardboard but used Sintra board instead. 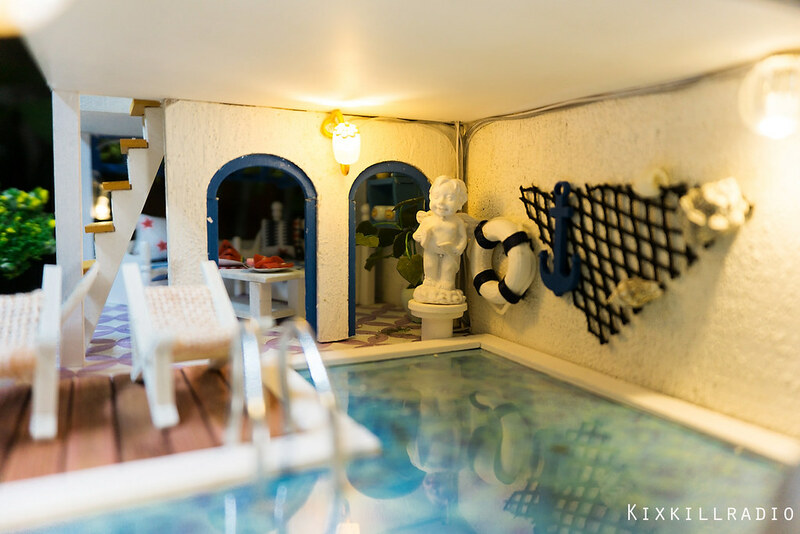 I love how the Dollhouse interior design takes you to a wonderful world of miniatures. 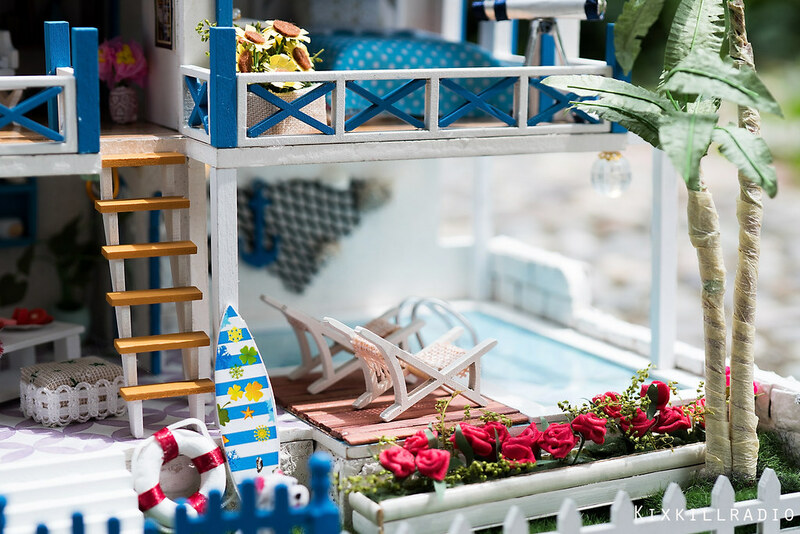 If I can shrink small enough to fit in the beach house, I would love to relax and enjoy the scenery. The design gives a summer vibe, something fun and bright. I also love the color, white and blue. The color is just perfect for the summer theme. The most challenging part in building this dollhouse kit is installing the LED lights in every corner of the room. The house is too small for my hand so I always use the craft tweezers. 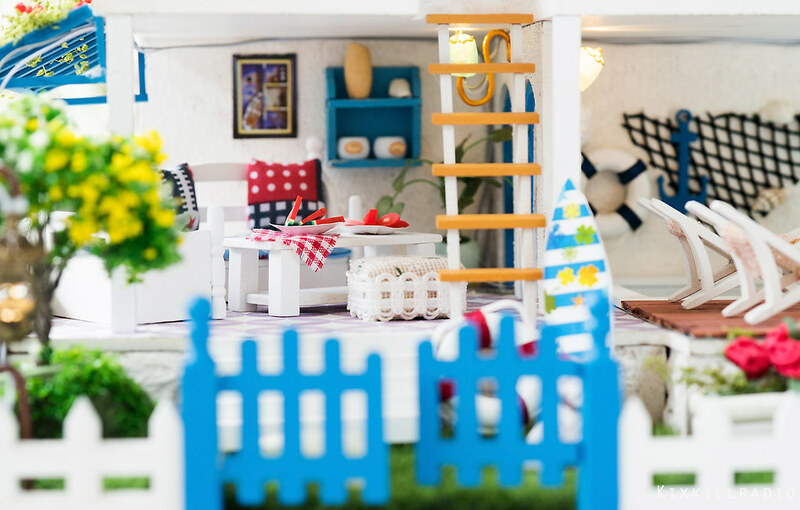 In building dollhouse kits such as this, you need to have a lot of patience and you should take your time. Relax and enjoy the process. Since the beach house is too small for my Yotsuba, good thing I have this Barbie PeekaBoo Petite that I got from my niece. She finally has a home. This Barbie Petite measures approximately 2.5in. She looks too happy with her beach house. The dollhouse is beautiful even without the modification. It is in your own hands how you are going to make it look presentable. Just be creative and watch my video for ideas. If you are planning to buy this for Nendoroid or other toys and figures that are more than 2.5 inches size, don’t. If you have other trading figures about the size of Barbie PeekaBoo Petite then it will work. My kit actually has missing pieces that’s why the window was incomplete. I hope it won’t happen to any customers. 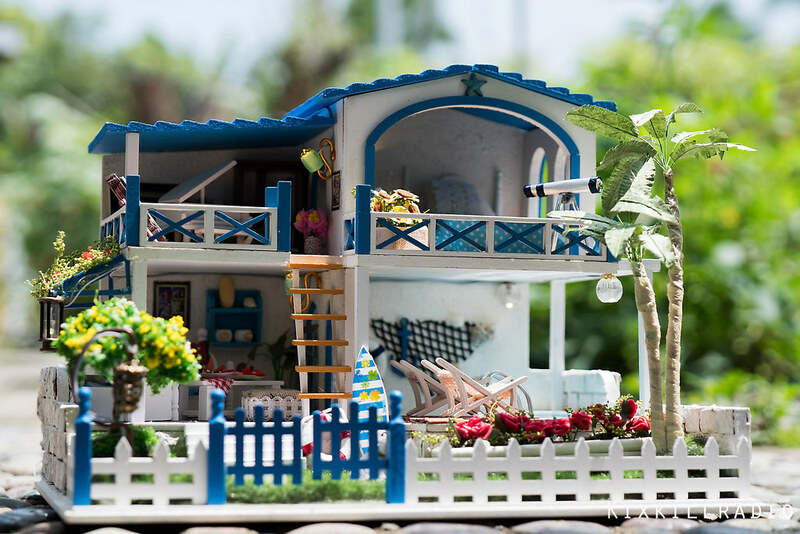 This beach house model is a nice display and gift for someone, especially those who love dollhouses and miniatures. You can gift it a child but an adult should build it for you. It’s also a nice subject for photography. Aside from missing pieces and the small size, everything else is just absolutely gorgeous. GearBest provides fast shipping and that is awesome! NOTE: The product is provided by GearBest for review. Next DOLLHOUSE KIT GIVEAWAY!!! Starts on Sept 7 until Sept 14! !